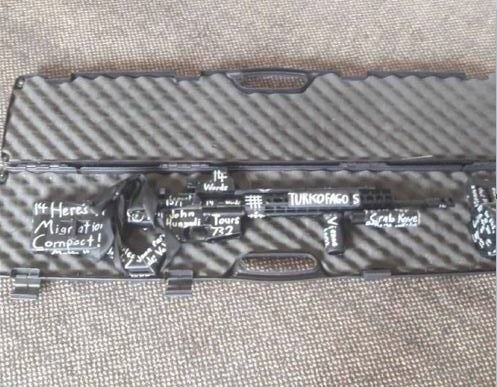 Mass shooting at mosque in NZ. Shooter decided to livestream the whole thing on his GoPro. ISIS-tier footage holy . Also definitely knew how to handle a gun. Liked meme music. Did/do you personally hate muslims? A muslim man or woman living in their homelands? No. A muslim man or woman choosing to invade our lands live on our soil and replace our people? Yes, I dislike them. The only muslim I truly hate is the convert, those from our own people that turn their backs on their heritage, turn their backs on their cultures, turn their back on their traditions and became blood traitors to their own race. These I hate. Did/do you personally hate foreigners/other cultures? No, I spent many years travelling through many, many nations. Everywhere I travelled, barring a few small exceptions, I was treated wonderfully, often as a guest and even as a friend. The varied cultures of the world greeted me with warmth and compassion, and I very much enjoyed nearly every moment I spent with them. I wish the different peoples of their world all the best regardless of their ethnicity, race, culture of faith and that they live in peace and prosperity, amongst their own people, practicing their own traditions, in their own nations. But, if those same people seek to come to my peoples lands, replace my people, subjugate my people, make war upon on my people, ,hen I shall be forced to fight them, and hold nothing in reserve. Do you believe those you attacked were innocent? They are no innocents in an invasion, all those who colonize other peoples lands share guilt. Reading more of the manifesto, I don't think an insanity defense is gonna fly, nor does it seem he would attempt it. He is very meticulous about listing his reasons for doing this. So apparently the reason he used guns was to influence the gun debate in America and hopefully get Congress to take our guns, which he hopes will get Americans to fight their government finally. This aint your usual schizo off his meds. Last edited by Caduet; March 14, 2019 at 09:45 PM. The shooter videod it live! I don’t want to see the footage but have you seen it personally? Yea, dude says "subscribe to pewdiepie" before going on rampage, it was unreal. RIP memes, internet as we know it is dead after this. Last edited by Caduet; March 14, 2019 at 10:49 PM. Quite tragic. Not surprised it was a channer, those communities are full of 20-something crazies with not much to live for. Last edited by Prodromos; March 14, 2019 at 11:03 PM. Quite tragic. Not surprised it was a channer, these communities are full of 20-something crazies with not much to live for. Also having skimmed the manifesto, he doesn't seem to mention the jews at all. Just explains he doesn't have a problem with israel and he isn't a mossad agent. Yeah I don't think so, champ. Last edited by Prodromos; March 14, 2019 at 11:17 PM. He states his reasoning quite clearly in the manifesto. Unless Christianity is somehow the core of chan culture it seems odd to blame the chans. No one's "blaming" those sites, they're just where edgy 20-somethings gather and announce their plans to shoot up schools, etc. They're probably betting that politicizing their acts will help do more damage to society. Sadly, a lot of political ideologues will lap it up. According to New Zealand prime minister 40 people died with 20 injured. Wretched terrorists, trying to turn communities against themselves. I think they don't believe in much actually, they just use violence to gain power. These four scum don't represent New Zealand or Australia. Since when has any terrorist truly represented the communities they came from? Its pretty ed up. Apparently he included the Navy Seal copy pasta and other memes in his manifesto, and he played the "Remove Kebab" meme song to psyche himself up for the mass shooting. all those who colonize other peoples lands share guilt. I can't be the only one who sees the irony here, can I? Were/are you a christian?That is complicated. When I know, I will tell you. Were/are you a fascist? So, not a Christian, but a Fascist. I find it hard to claim Christianity as a main motivator when he can't even call himself a Christian. Last edited by nhytgbvfeco2; March 15, 2019 at 03:35 AM. Never. But when has that accusation been made? All the time, by members of the far right, including some on this forum, when the terrorists are Muslim. We can now add New Zealand to the list, alongside Norway, of countries where far right extremist terrorists have killed more people in the last 20 years than Muslim terrorists have. No doubt the far right will be calling for a complete shutdown of Australians entering NZ until the situation is under control. Right, guys? Never heard of Navy Seal copypasta until I looked it up just now. The 'Remove Kebab' meme is in fairness a Serbian military song intended to justify ethnic cleansing of Muslims (and Croats), so it's not exactly some innocent meme like Pepe the frog that will accrue an undeserved stain as a result of this disgusting and cowardly attack. Last edited by Copperknickers II; March 15, 2019 at 04:12 AM. A new mobile phone tower went up in a town in the USA, and the local newspaper asked a number of people what they thought of it. Some said they noticed their cellphone reception was better. Some said they noticed the tower was affecting their health. A local administrator was asked to comment. He nodded sagely, and said simply: "Wow. And think about how much more pronounced these effects will be once the tower is actually operational." Anyone else waiting for the right wing appeasers to wade in? You know, the ones who will denounce the violence but then turn around and say 'they fear' that's the way it's going to be unless we toughen our stance on immigration/integration? @Muizer: And the next step will be someone who will write something about a Falseflag-operation, like with the Las Vegas Shooting. @nhytgvfeco2: Maybe he is a Maori? He calls himself a white guy from Australia in the manifest. Either way, were he Maori, I don't think the Muslims would be the first people he'd consider colonizers. Another idiot that believed that killing inocent people would find "justice" and glory. The most idiot though is - i don't know how he learned that word - used Greek language to justify his crime. Ussing our language on his gun is a disgrase to oyr culture and code of honor as Greeks. Greeks do not need "saviors" or defenders for them in any way. Greeks are people with HONOR that fight for it in battlefields and defenetly do not justify the murder of inocent people because as nation have sufaired such massacres in the past and they know the pain they cause. If we will need Turkofagos we will fight the Turks face to face not by murdering inocent kids and women. To those IDIOTS that do not know what Greek Philosophy for war is DO NOT USE OUR LANGUAGE again to justify your idiocity. I'm sure Trump will be willing to extend his no-fly ban to all Australian White Supremacists. That's how this works right? Also, I do find it amusing that the far-right are now saying "Let's not score cheap political points" and "Let's not inflame racial tensions" after this attack. I really don't remember them saying anything of the sort for any previous terrorist attack. I wonder what the difference is this time? Last edited by TheLeft; March 15, 2019 at 05:24 AM.